Our friend Mayur More(age 24) is in urgent need of some help for his kidney transplant. Since last 4 years he is suffering from chronic kidney failure and was managing by undergoing dialysis on a weekly basis. 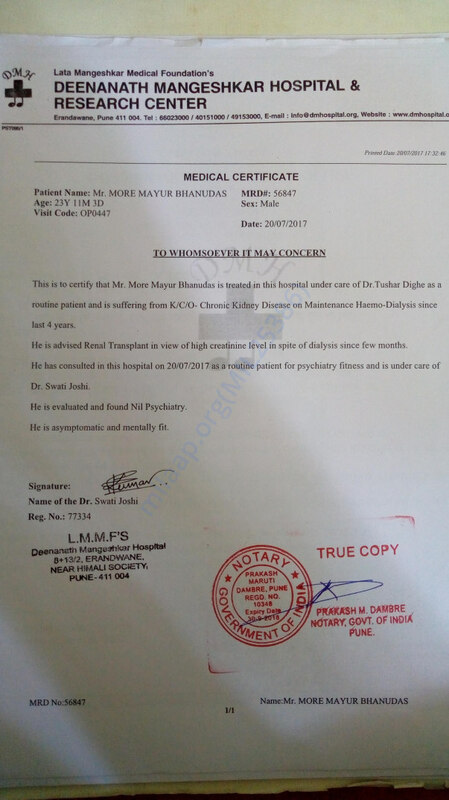 His both the kidneys have become disfunctional due to high creatinine level and now he is completely unable to continue dialysis beacause it is affecting his health drastically. Doctors have diagonised that he is suffering from End Stage Renal Disease and they have suggested him to undergo a renal transplant. His mother Shaila More(age 53) has already agreed to donate one kidney. Doctors have advised to undergo the transplant as soon as possible. But Mayur is facing some difficulties in raising the money required for the cost of the operation as he is unable to work anywhere due to his medical condition. 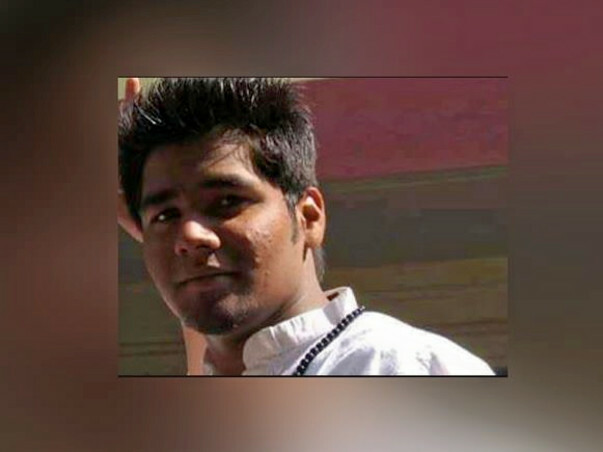 Mayur is an aspiring IT professional but due to his kidney problem many recruiters have rejected his application and he is unable to pursue his career and is facing a financial problem. 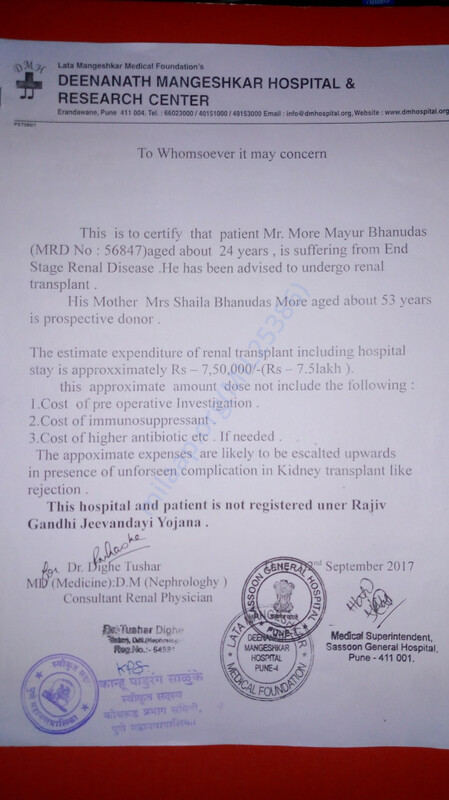 So he needs your help so that he can undergo a successful kidney transplant and start working and have a better and healthy life. 1. Cost of pre operative investigation. 3. Cost of higher antibiotic etc if needed. The approximate expenses are likely to be escalated upwards in presence of unforseen complications in kidney transplant like rejection. So request you all to extend your help as much as possible so that we can see our friend back to his best as soon as possible. Your effort will be kindly appreciated. All those who know Mayur personally must be aware about his helping nature. But this time our friend Mayur needs a little help. So I request you all specially to forward this link as much as possible. We would like to inform everyone that our friend Mayur has undergone his kidney transplant surgery successfully! His mother is also fine who donated her kidney to Mayur. He would be admitted in the hospital for one more day for further medical supervision after the surgery. On behalf of Mayur I thank everyone, known or unknown who has supported him in giving him his second life. I will withdrawing money for the expenses incurred during the stay in the hospital. Thank you for all the support you have shown Mayur. We are withdrawing the amount raised to deposit it in the hospital. We will keep you updated as soon after getting him hospitalized. Please do share this campaign further with your friends and family to help us in raising funds faster towards Mayur's treatment. Thank you for the support. Will keep you posted.